This Contest is open to legal residents of Canada, including the residents of Quebec. VOID WHERE PROHIBITED BY LAW. Employees of Tribute Publishing, Inc. (“Tribute”), their respective parents, affiliates, subsidiaries, advertising and promotional agencies and the immediate family members and those with whom they are domiciled each are not eligible. 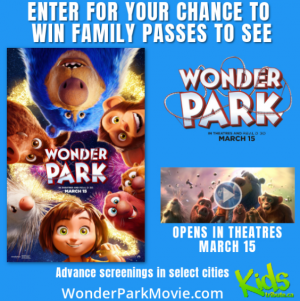 Access to the “WONDER PARK PASS” contest is obtained by visiting the Kids Tribute web site and clicking on the “WONDER PARK PASS” contest banner. In the event of a dispute regarding who submitted an on-line entry, entries will be deemed made by the authorized account holder of the e-mail address submitted at the time of entry. “Authorized account holder” is defined as the natural person who is assigned to an e-mail address by an Internet access provider, on-line service provider or other organization (e.g., business, educational institution, etc.) that is responsible for assigning e-mail addresses for the domain associated with the submitted e-mail address. 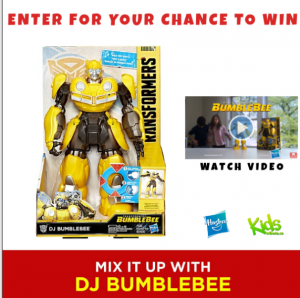 At the conclusion of the contest, the contest entry (“Authorized account holder”) (As described above) agrees to receive one e-mail from the contest provider (Tribute.ca) informing the user the contest has concluded and with information pertaining to the film. 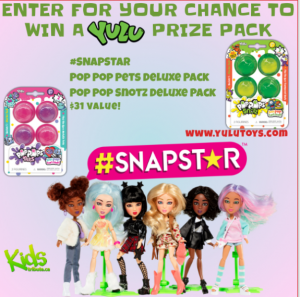 Contest period starts on February 8, 2019 & ends March 6, 2019 at 09:00 a.m. (Eastern Standard Time). All entries must be received by March 6, 2019 at 09:00 a.m. (Eastern Standard Time) to be included in the prize draw. Tribute and Contest Sponsor are not responsible for late, lost, misdirected or incomplete entries. All entries should be for this draw and will not be kept for future draws. On Wednesday, March 6, 2019 at 10:00am (Eastern Standard Time) in Toronto, Ontario a random draw will be executed by Tribute for the Prizes from all eligible entries received on or before the contest closing date. Contest entrants agree to abide by the terms of these Official Rules and by the decisions of the judging organization, which are final on all matters pertaining to the Contest. This Contest is governed by the laws of Canada. All federal and local laws and regulations apply. 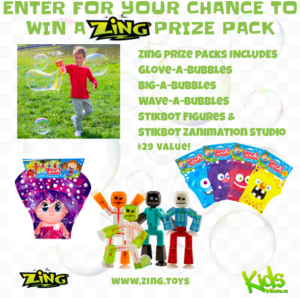 All taxes, fees, and surcharges on prizes are the sole responsibility of the prize winner. Return of any prize/prize notification as undeliverable may result in disqualification and selection of an alternate winner. By entering, participants release and hold harmless the Contest Sponsor, Tribute, and their respective parents, subsidiaries, affiliates, directors, officers, employees, recording artists and agents (collectively, “Contest Entities”) from any and all liability for any injuries, loss or damage of any kind arising from or in connection with the Contest, or the use or acceptance of any prize won. UNLESS OTHERWISE SPECIFIED, USERS CAN ENTER AN UNLIMITED AMOUNT OF MANUAL ENTRIES. ABUSERS OF THE ENTRY POLICY WILL BE DISQUALIFIED OR RESTRICTED AT CONTEST SPONSOR’S DISCRETION. USER MUST ENTER BY MANUALLY CLICKING THE “SUBMIT” BUTTON. USING SCRIPT AND/OR PROGRAMS (E.G. ROBOTS OR SPIDERS) TO AUTOMATE ENTRIES CONSTITUTES ABUSE. CONTEST SPONSOR RESERVES THE RIGHT TO JUDGE ALL CONTEST ENTRIES BASED ON ITS INTERPRETATION OF THE RULES. Contest Entities are not responsible for any incorrect or inaccurate information, whether caused by website users or by any of the equipment or programming associated with or utilized in the Contest, or by any technical or human error which may occur in the processing of submissions in the Contest. Contest Entities assume no responsibility for any error, omission, interruption, deletion, defect, delay in operation or transmission, communications line failure, theft or destruction or authorized access to, or alteration of, entries. Contest Entities are not responsible for any problems or technical malfunction of any telephone network or lines, computer on-line systems, servers or providers, computer equipment, software, failure of e-mail or players on account of technical problems or traffic congestion on the Internet or at any website or combination thereof, including injury or damage to participants or to any other person’s computer related to or resulting from participating or downloading materials in this Contest.